The Congress will open on Monday, September 7th, on morning. The program is not finalized yet but please note that, due to the size of the Congress, the working sessions will start early on the afternoon of Monday, September 7th , and finish late on the afternoon of Friday, September 11th. The beginning of the twenty-first century has seen considerable renewal in how the industrial heritage is considered. Its contribution to our understanding of the past, the way it is approached by academic research, its place in the evolution both of landscapes and of societies, all these are witnessing rapid change. 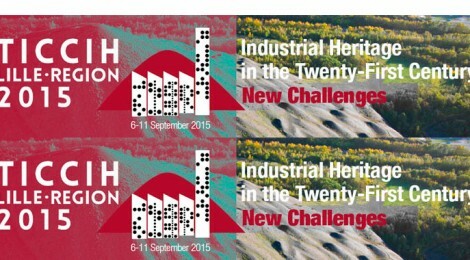 Under the title “Industrial Heritage in the Twenty-First Century, New Challenges”, the sixteenth TICCIH Congress to be held at Lille and in its region in 2015 aims to give a general, world-wide review of the present-day state of industrial heritage, opening up new perspectives on the people involved in it, its achievements and its recognition. Much effort is still necessary to give industrial heritage the social recognition it deserves, but the Congress will show how, throughout the world, it is a heritage that can make contributions where contemporary demands are concerned, in terms of sustainable development, urban regeneration, architectural invention, local economies, culture and education. The role of the citizen and the part that citizens can play will be at the heart of our approach. We keep this heritage because it means something to us and we want to keep that meaning for future generations. But what precisely does the industrial heritage mean to today’s societies? What importance do these societies attach to industrial heritage? What influence can industrial heritage have on the way societies evolve? Lille and its region represent one of the richest industrial territories in France, with a tremendous diversity of activities: coal mining, textiles, mechanical engineering, chemical industries and agricultural and food-based industries, as well as a mail-order sector which takes advantage of its location and of a remarkably dense transport networks. The industrial and cultural landscapes of the Nord-Pas-de-Calais region are many and varied, marked by successive waves of immigration. Over recent years, as elsewhere, they have suffered from the effects of deindustrialization. Held at Lille and in its region, the Congress will show how and why the recent inscription of this region’s mining basin on UNESCO’s list of world heritage as a continuing cultural landscape symbolizes how our ways of appreciating the industrial past and the traces it leaves—both material and intangible—are changing, both for citizens and for institutional organizations. The Nord-Pas-de-Calais mining basin is a splendid illustration of the how TICCIH’s principles, laid out in the Nizhny Tagil Charter, correspond with the criteria established by ICOMOS and UNESCO. For the local community, the recognition of the outstanding universal value of the landscape is of tremendous significance, underlining the strength of its identity, its culture and its resilience. At Lille, associations will have a dedicated space, which will remain open to the general public throughout the duration of the congress, in order to present their projects. The conditions for access to this space will be indicated shortly. The management of the industrial heritage in landscape contexts and the identification of new players in the field of industrial heritage will be two major lines of enquiry addressed by the congress. The program committee will therefore pay special attention to proposals for papers examining new heritage practices, and in particular practices to do with the landscape or with associations. This does not mean however that it will exclude propositions on other topics to do with the industrial heritage, or with the activities of TICCIH and its sections. Poster sessions will also be organized to allow students, young researchers and project developers to present initiatives recently completed or still in progress. Belem Oviedo Gámez, TICCIH México and Archivo Histórico y Museo de Minería, A.C. Le Comité d’organisation, présidée par Florence Hachez-Leroy – Université d’Artois et CNRS, Centre de recherches historiques, CNRS/EHESS (UMR 8558) et Textes et Cultures (EA 4028) – est composé d’un comité d’organisation local et du comité de pilotage du CILAC.